Marianne Curtis and Abby Kellett garner opinion on the decision to renew glyphosate’s licence. 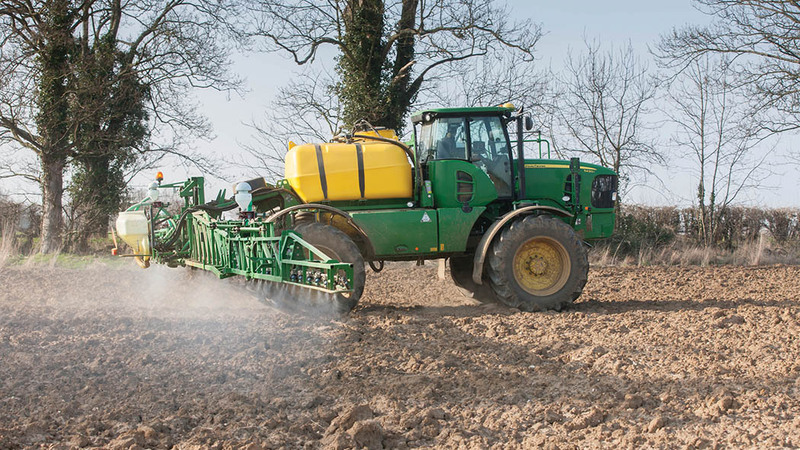 Following fears that glyphosate could be banned in recent weeks, news that its licence is to be renewed for five years brings a sense of relief for many farmers and the wider agricultural industry, albeit tinged with disappointment that it was not renewed for longer. Despite health advice from the European Food Safety Authority and European Chemicals Agency that should have seen the chemical’s licence renewed for the standard 15 years, news came in May that the EU proposed to reauthorise use of glyphosate for only 10 years. Late October saw postponement of an EU decision on the future of the herbicide after too few EU member states were willing to back a 10-year renewal of its licence. The UK was in favour of a 10-year renewal. In early November, member states were asked to vote on proposals for a five-year renewal of glyphosate’s licence but still failed to agree, with the matter sent to an Appeal Committee made up of higher-level representatives from member states which voted on Monday (November 27), agreeing to the five-year licence renewal. Germany’s decision to vote in favour of five-year reapproval rather than abstain as it had done on previous occasions was crucial in carrying the decision. As well as delight at the decision to renew glyphosate’s licence, farmers are also conscious of the need to avoid resistance developing to the herbicide and to look at alternatives. Many took to twitter to offer their view. 5 year extension, I do hope this means 5 years of innovation and invention of systems and machinery that will fill the gap when we either see it banned or select for glyphosate resistance grass weeds. @Longwool @emmahamer2 Now we have Glyphosate for another 5yrs we need to encourage stewardship to prevent resistance selection. Please RT. Glyphosate decision brilliant news for soil, sustainable production & food affordability. Anthea McIntyre MEP: “It should never have taken this long to renew the licence and it should have been renewed for a full 15 years but the last minute reprieve and the licence for five years is welcome.